Reappointment of an academic staff member holding a renewable term appointment is not a right and is not automatic. Reappointment depends on the quality of performance in the position, the availability of funds and space, and the continuation of the sponsoring program. Approval by the department chairperson and the dean or director of the academic unit is required for reappointment. Written notice of a decision not to renew the appointment must be given to the staff member by the dean, director, or chairperson; this should be done as early as possible. For non-terminal appointments, at least three months’ notice is required. For each year of service in the position beyond three years, an additional month is added to this minimum, up to a total of six months. The same provisions for notice pertain to early termination of an academic appointment. Different requirements for notice pertain to senior lecturers and lecturers. A one-semester notice of termination must be provided to lecturers and senior lecturers who have had at least two but not more than three years of continuous service, and a two-semester notice must be provided to those with more than three years of continuous service (excluding summers). In some situations no notice is required. 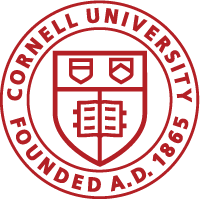 These include (1) an appointment clearly communicated as being non-renewable; (2) the termination of a grant or contract that is the sole source of salary for the staff member and for which the staff member is the principal investigator; (3) situations in which the staff member is not paid through Cornell; (4) cases in which the staff member is dismissed for cause.